I drove up to visit Swati in Minnesota last night. 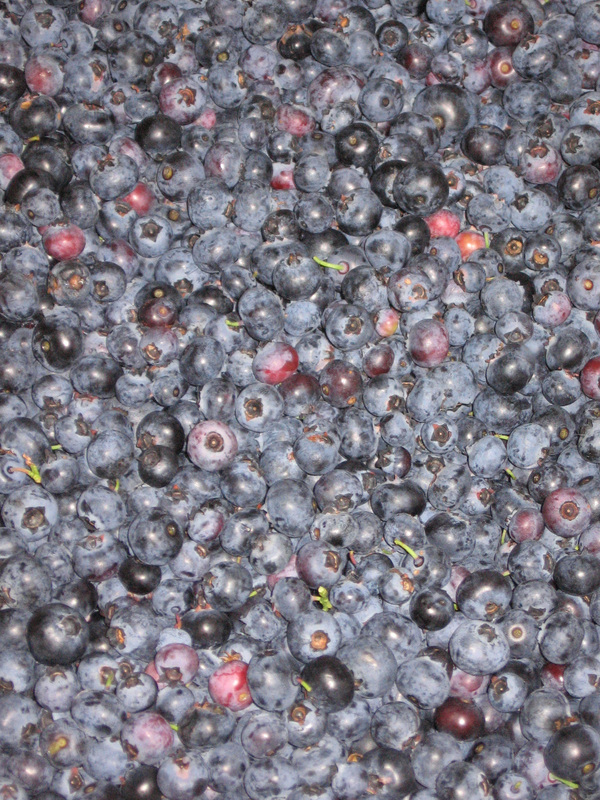 Just about the first thing we did Saturday morning was go and pick blueberries. 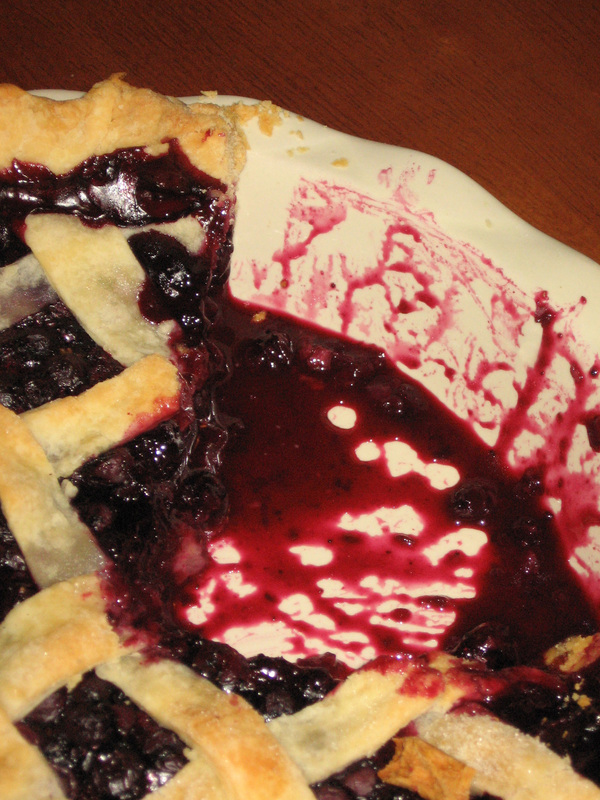 We wanted to bake a pie, and figured that we should use what was fresh and pick-able. We got to the berry patch around ten, and apparently it was a busy day, and we were late! Fortunately they found us a row to pick berries, and we got going. We noticed that there were more berries on the bushes to either side of us. After we finished our row, we went back to the house to ask for another one, and they said there weren’t any, and to look in our row for more berries…we took the opportunity to jump a few rows over and RAID. We got a lot more berries that way, browsing the vacant rows. 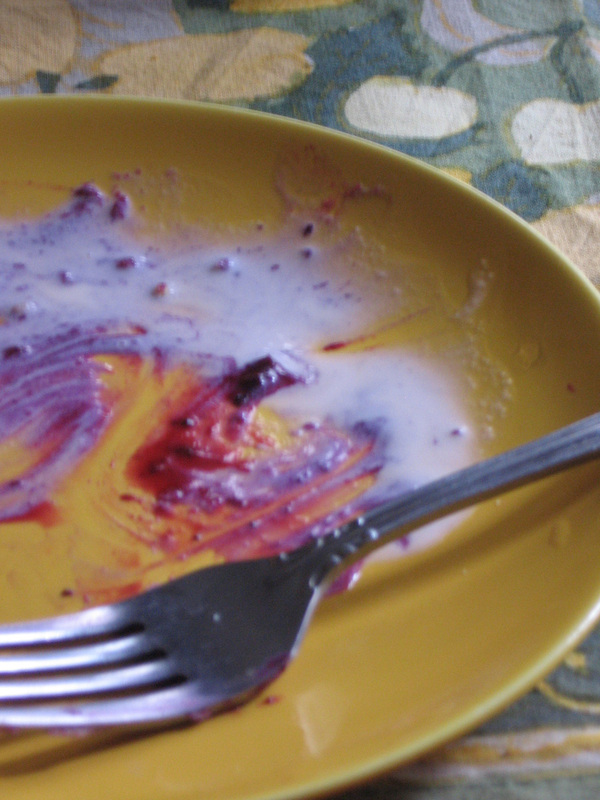 When we got home, we promptly ate berries with cream. 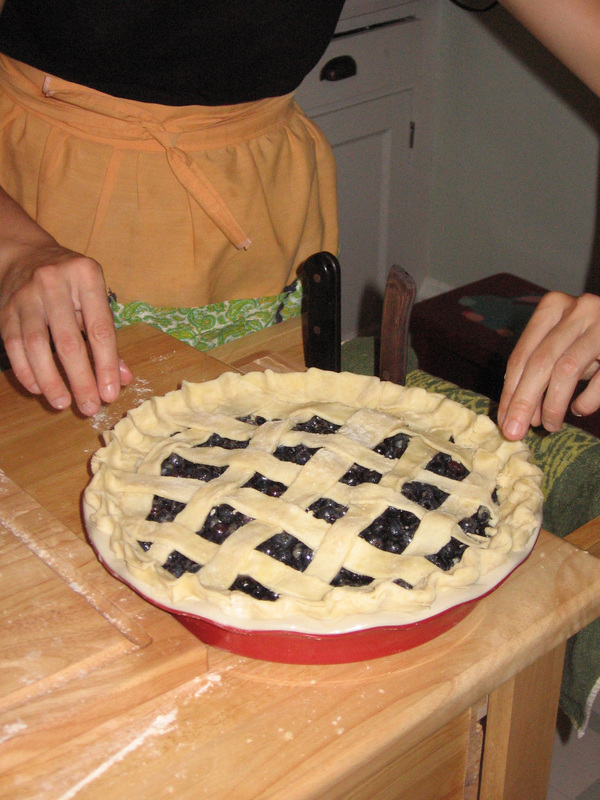 Then we baked a pie. We ate pie for dessert, then for breakfast. With vanilla ice cream. Nice! Pie looks delicious! 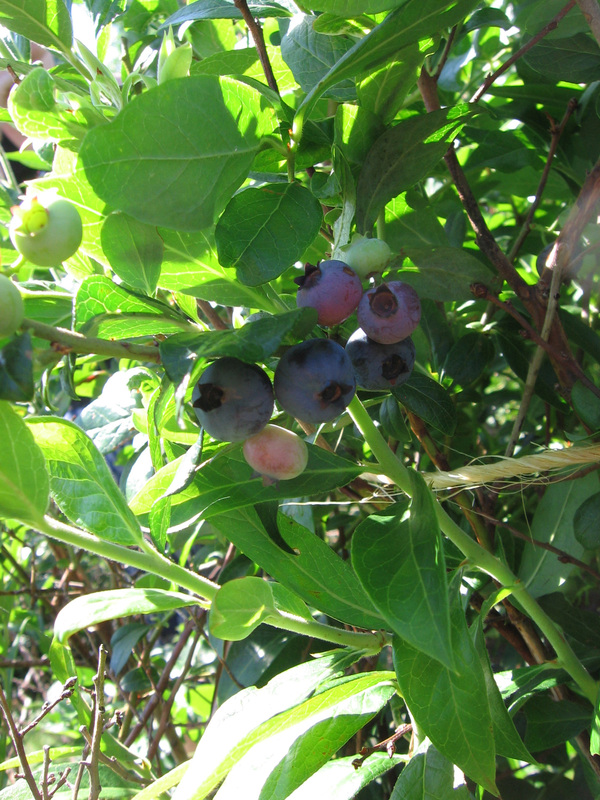 Will have to remember to go berry picking next time we head up north – i think the kids would love that! hugs to you and Swati! i love your blog, although it makes me miss you more! Oh, I miss you too!! Remember our berry picking adventures? Sometime I will have to visit you over there and we can go on a berry/fruit picking mission! High to Swati! Pie looks great. I’ve been up there so many times and have never gone blueberry picking–how fun! I’m inspired to bake a pie now. So, how far into MN did you find a patch? How much were they per pound?